I recently went to a cookout where some of the folks were vegetarian. 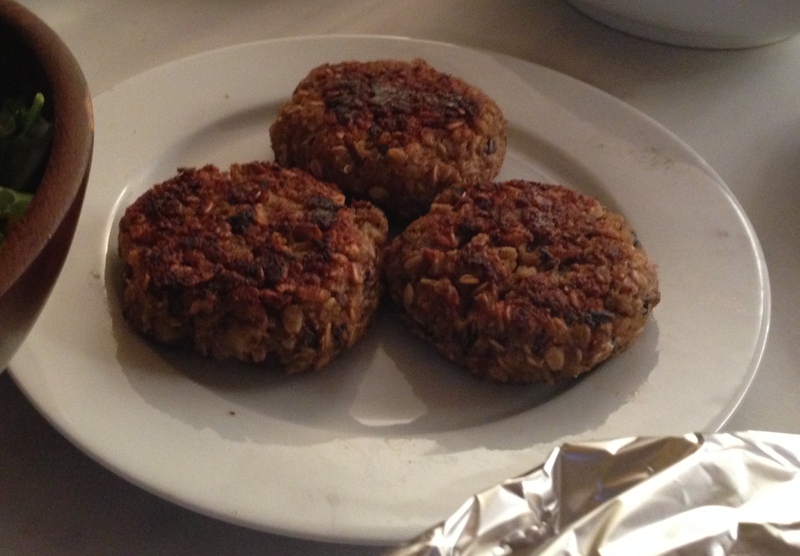 I’ve been playing with meat substitutes for a while, so I volunteered for veggie burgers. A difference between this and most recipes is that many meat substitutes use beans as a main protein. But I’m a fan of eggplant, so I chose to use this instead. It’s not a common approach, but it worked remarkable well.